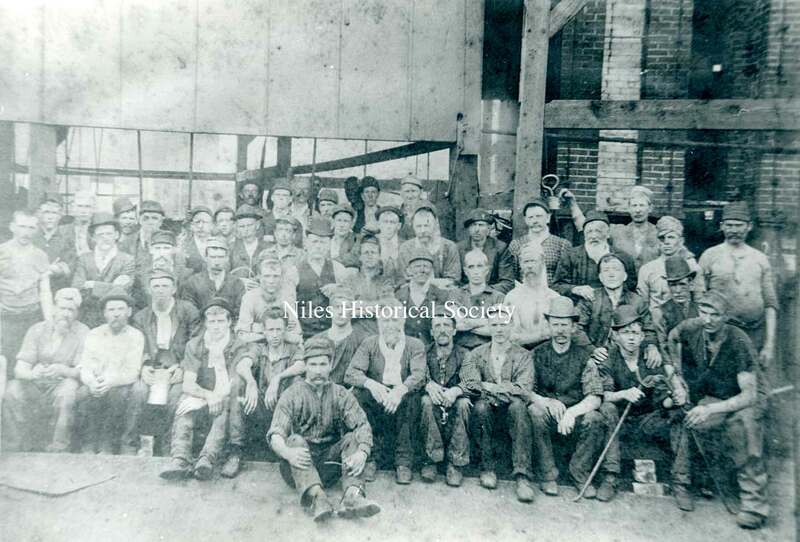 Boiler Works,Falcon Iron, Firebrick, Globe Foundry, Gristmill, Ward Iron Works, Ward Blast Furnace, Mosquito Creek, Mahoning River. 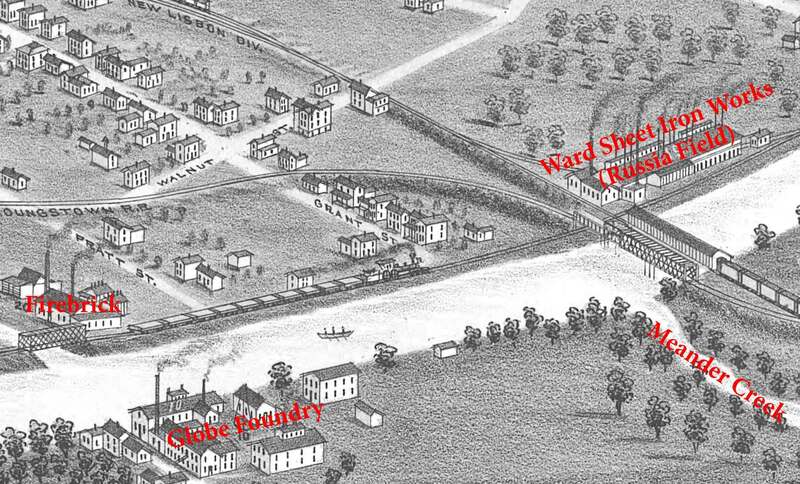 Firebrick, Globe Foundry, Ward Sheet Iron Works (Russia Field), Meander Creek, Mahoning River. 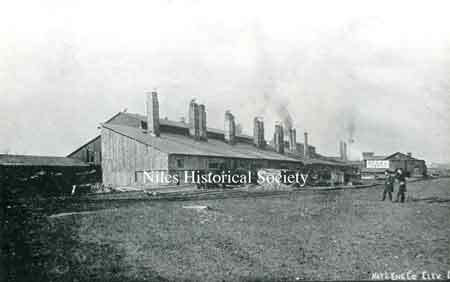 The industrial history of Niles entered a new phase with the death of Warren Heaton in 1842. The pioneer work done by James Heaton and his son. Warren, came to an end, and was followed by a period of rapid industrial growth. A new generation of industrial leaders established a number of new and greater enterprises that spurred the growth of Niles as a manufacturing center. 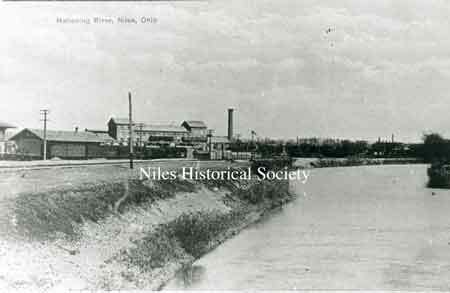 The completion of the Pennsylvania-Ohio Canal and the availability of raw iron from Heaton’s “Maria” furnace were probably factors which brought James Ward, Sr., his brother, William, and Thomas Russell to Niles from Lisbon, Ohio in 1841 to build their first plant here. Coming from England where the manufacture of iron was more advanced, the Wards applied their improved technology when they built three puddling furnaces and a stand of rolls in the first plant. This enterprise on the banks of the Mahoning River, east of Main Street, used the first puddling furnaces and rolled the first iron west of Pittsburgh. 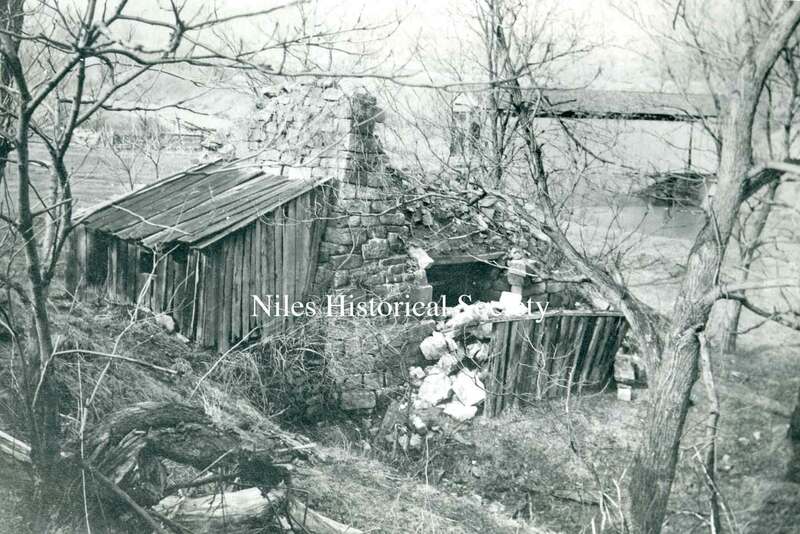 When the antiquated “Maria” furnace closed, James Ward, Sr., constructed the “Elizabeth” furnace just across the Mosquito Creek. The new furnace was vastly superior to the old, producing as much as twenty-eight tons of iron daily, compared to the mere three which the old “Maria” turned out. James Ward, Sr. was the city’s industrial leader during this period until struck down by an assassin’s bullet, July 24, 1864. Control of the Ward enterprises then fell to his son, James Ward, Jr. The Ward enterprises continued to expand, stimulated by new factors, including the arrival of railroads after 1856. A new source of local iron ore was discovered by John Lewis under the Mineral Ridge coal deposits. These events, coupled with the huge industrial demands created by the Civil War induced the Wards to rebuild and greatly enlarge their original plant. But the Wards moved in new directions, too. 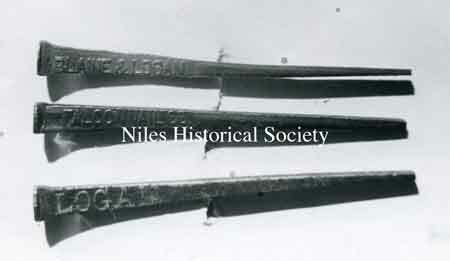 In 1867, the famous Falcon Iron & Nail Company was constructed on the east bank of the Mosquito Creek, opposite the old Heaton grist mill. 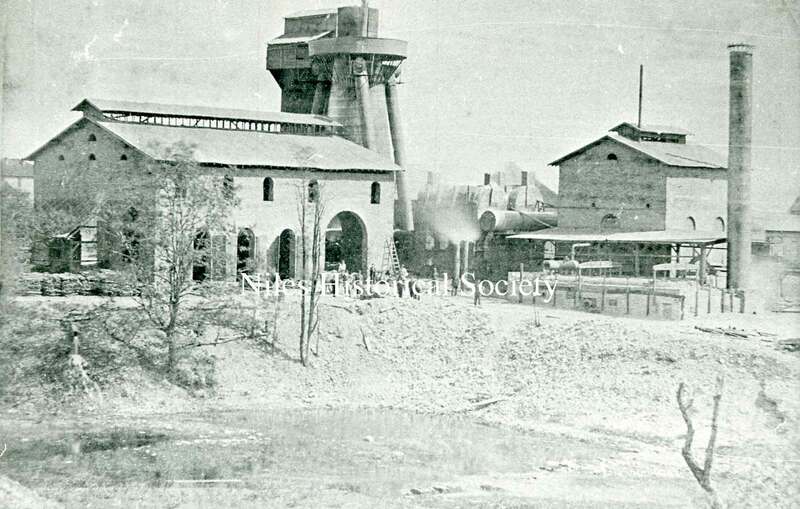 The next year, using a process for producing polished steel sheets developed in Russia, they built the “Russia Field” mill on the north bank of the Mahoning River, east of Lisbon line railroad bridge. 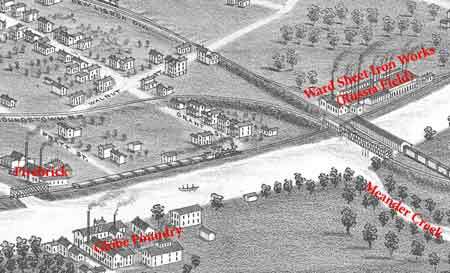 The last major Ward plant was a new iron furnace raised by William Ward and Company on the east side of the creek, south of the Erie Railroad. It had a productive capacity of twenty-six tons per day. 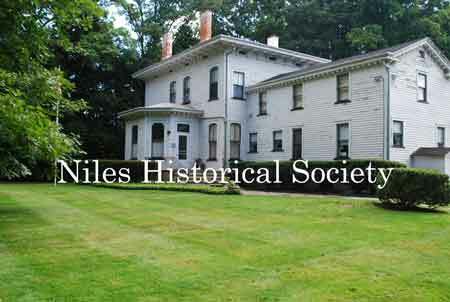 These enterprises lifted the Wards to preeminence, but other industrialists, mostly Niles men, also contributed to the city’s increasing industrialization. 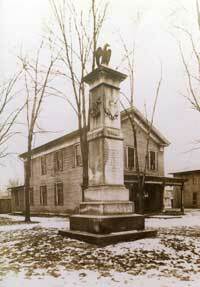 Thomas Carter established the Globe Foundry, on the south side of the river, in 1858. 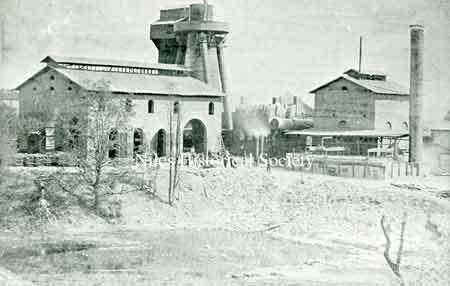 Harris, Blackford and Company built a puddling and rolling mill north of the Erie Railroad, near the Heaton Dam. 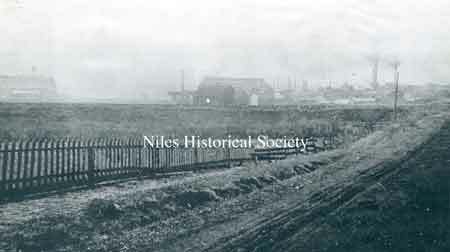 George and Jerimiah Reeves constructed the Niles Boiler Works on the east bank of the creek, near the Erie tracks. 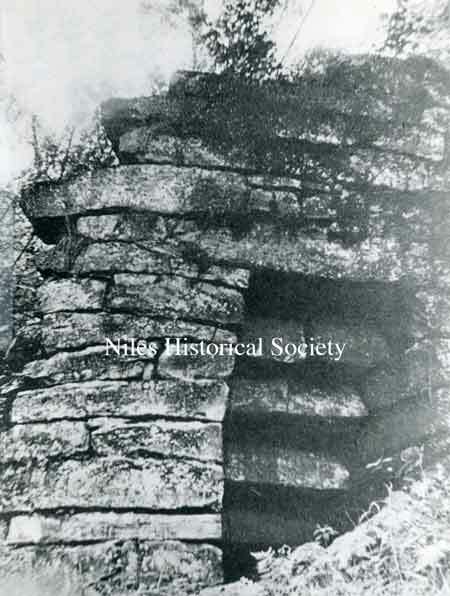 One of the most enduring industries started at this time was the Niles Firebrick Company, established by John R. Thomas in 1872. 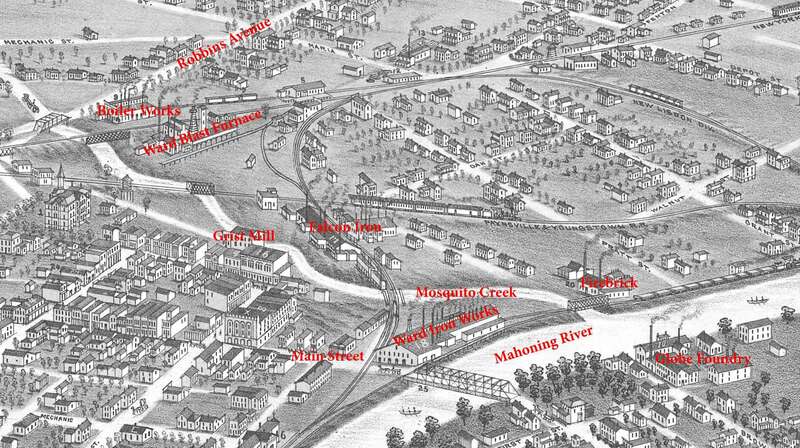 It stood at the confluence of the Mosquito Creek and Mahoning River. On the eve of the Great Panic of 1873, Niles was a hive of industry with two blast furnaces, four extensive rolling mills with puddling furnaces, the large nail works, the Globe Foundry, a boiler works and a brickyard. Smoky industrial skyline of Niles at the peak of iron manufacturing, descibed by historian Howe in 1888 as "among the most extensive in the state." All structures were part of Ward Enterprises, by 1900 they had all been demolished. The Niles Firebrick Co. was constructed by John R. Thomas in 1872 and was one of Niles' most enduring industries. It was known nationwide for its high quality firebrick. In 1867, James Ward II sent a represenative to Russia to report on the possibility of manu-facturing " Russia Iron", a high grade product much in demand for stove manufacturing.